Milestones happen to people throughout life. And throughout life adults need occasions to be reminded of and supported in their lifelong faith formation. These 12 Adult Milestone Modules do just that. 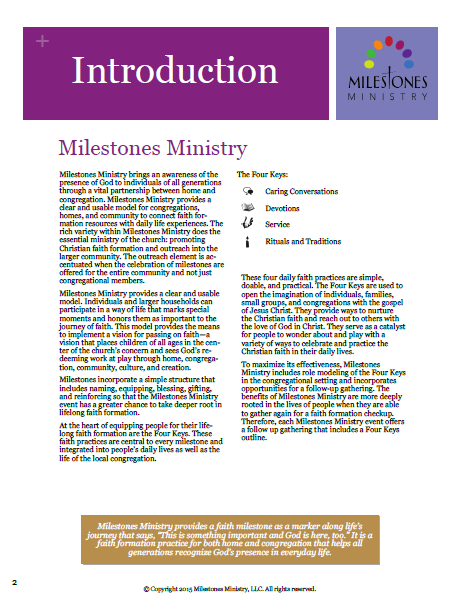 From getting that first job or becoming a parent to becoming a grandparent or caring for elderly parents, milestones in life are made all the more significant as these meaningful, memorable moments are made part of the journey of faith through Milestones Ministry. Each Adult Milestone module consists of a design that can be used in three different settings: Cross+Generational, the Home, and Follow-Up for both. There are also tips for planning, a Worship Blessing that can be done during worship, and outreach suggestions. 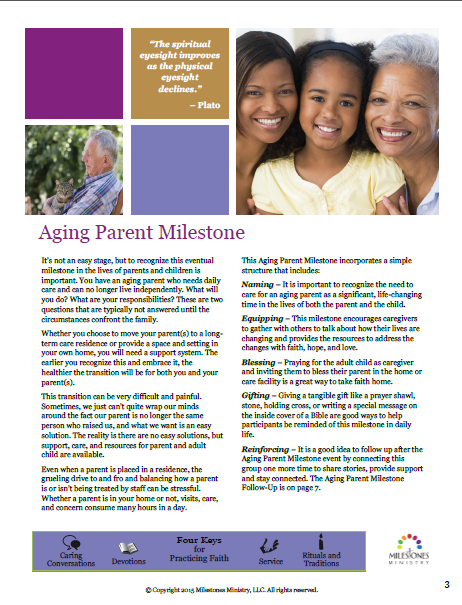 The 12 Adult Milestones listed below are available as individual downloads. 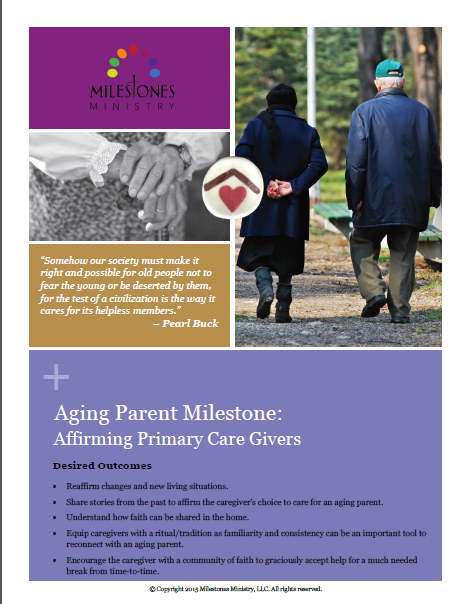 The Adult Milestones Manual (Series B) includes all 12 and is available as a download, CD, or printed.